Lesley desires to see coaches and female athletes introduced to and growing in a personal, intimate relationship with the One Lord and Savior, Jesus Christ. Growing up on the South Shore of Boston, Lesley learned the Gospel early in life and also developed a passion for athletics of all kinds. Attending and playing softball at Wheaton College in Illinois, Lesley’s life continued transforming with a deeper knowledge of Jesus, and she began to realize the enormously unique opportunity and influence that a daughter of the King can have as a female athlete in today’s culture. Upon graduating college, Lesley joined full-time staff with FCA as an Area Representative in Loudoun County, VA. After two years in this role, the Lord opened the door to serve as the FCA Women’s Chaplain at Virginia Tech. With her background as a female college athlete, experience in ministry, and passion for the Gospel to change lives, Lesley is humbled and grateful to be called by God to serve on the campus of Virginia Tech. I am privileged to have the opportunity and responsibility to serve and to seek to see the campus of Virginia Tech impacted for Jesus Christ through the influence of female athletes and their coaches. God has given us a tremendously unique platform to be on-campus within the Athletic Department and to “be there” for any athlete or coach who voluntarily chooses to seek Biblical encouragement, equipment, or empowerment. On an average week, I witness the ministry reaching teams, connecting with coaches, holding on-on-one meetings, coordinating small group Bible studies, and attending practices and games. Every Tuesday night, a group of female athletes from all different teams meet to study the Bible and grow in their relationships with God and each other. 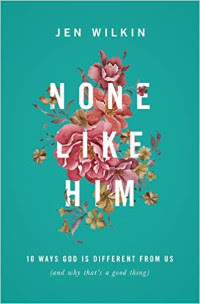 This semester, about 10 women from six different sports have met and begun their study of Jen Wilkin's book entitled: "None Like Him." Throughout the semester they will consider what the Bible says about who God is and how that affects the way they should live. Please pray for them as they embark on this journey! On Wednesday mornings, as the sun rises, female coaches and other women from various programs of the Virginia Tech Athletic department gather together for an inductive study of the book of Mark. They have been traveling through the 16 chapters of Mark since the beginning of last summer and will be finishing up in the next month. Pray for continued rich study and growth as a group- it's a blessed time! For the first time, the FCA women’s ministry at VT was able to extend its reach beyond Tech to other women overseas. I was proud to see several of our athletes challenging themselves to be bold in sharing their faith in unfamiliar environments. All of the female student-athletes are now motivated to impact the campus in unique ways because of the trip. A highlight from my perspective was seeing four of our female student-athlete leaders help lead a Bible Study with young women in North Eleuthera about our identity as Christ’s and remaining pure in Him. At the Chaplain’s conference in Dallas, I was blessed to join the other Female Chaplains across the country to discuss the unique aspects of ministering to Women in the sport culture. I was encouraged and challenged to come back to campus with a revitalized vision of the impact that Christ can have in lives of female athletes, and a thankful heart to be able to serve in this unique ministry. I returned to the weather finally starting to warm up and the spring seasons, such as softball, in full swing! Go Hokies! The transition from fall sports to the winter season has offered exciting opportunities to continue to build an FCA ministry foundation within the Women’s Athletic Department. While most athletes leave campus for about a month over Christmas break, I have had the privilege of developing relationships with some of the ladies on the Women’s basketball team- watching in on practices, sitting courtside at home games, and traveling to ACC matches at NC State and Duke. On a deeper level, I also have been blessed to weekly meet with one of the believers on the team to mutually encourage each other in faith, sports, and life! As stated above, most of the athletes enjoy a long break in studies over the holidays, but that doesn’t mean that ministry stops! I am so proud of the volleyball & golf athletes in our small group Bible study who committed to reading and studying a chapter of the Book of John each day of break! They engaged over the phone together with the Word of God and came to more deeply know the Christ whose birth they were celebrating! The Lord has worked tremendously through the “ministry of presence” to impact the women’s athletic programs. God has given us a tremendously unique platform to be on-campus within the Athletic Department and to “be there” for any athlete or coach who voluntarily chooses to seek Biblical encouragement, equipment, or empowerment. On an average week, I witness the ministry minimally reaching 8 sports, connecting with 9 coaches, holding 10 on-on-one meetings, coordinating 8 small group Bible studies, and attending 9 practices and 3 games. Beyond the numbers, I have the great privilege of joining with young women in the intimate moments of their lives. For example, I have treasured receiving a text message in the middle of the night from an athlete I disciple weekly with a picture of her new engagement ring, lingering after practice with an injured, crying freshman to simply listen and pray, and celebrating the baptism of one of our student athletes. Certainly, a unique and unexpected opportunity of favor has been the access I've had with the women's volleyball team. I have been able to travel to the majority of their away matches - blessing and sharing meals, holding Bible studies, developing deeper relationships with coaches, athletes, and parents, and encouraging the believers on the team in their pursuit as followers of Jesus. © Copyright 2019, FCA at Virginia Tech. All Rights Reserved. Login. Site Map.